After nearly doubling his innings pitched and averaging almost a strike out per inning in the Advanced A California League, the former Monroe Community College star earned a call-up to the Corpus Christi Hooks and a spot in the prestigious Arizona Fall League. Late season call-ups have become routine for Urckfitz, but the Penfield, New York native is taking nothing for granted. Urckfitz went to the mound Thursday night like he has so many times in the past. This outing, Urckfitz led the Hooks against the Frisco RoughRiders in Texas League action at Whataburger Field in Corpus Christi, Texas. The left-hander threw 85 pitches (55 for strikes) over five innings in his first start in Double-A. Pitching nearly 110 innings for the Lancaster JetHawks, Urckfitz demonstrated his ability to strike out batters. The southpaw fanned 103 while walking just 32 for the JetHawks. Urckfitz adjusted to the role of starting pitcher earlier this season. After making 23 apperances out of the bullpen (most in middle relief), he won five games as a starter. Urckfitz got his first start on July third striking out seven over five and a third shutout innings as the JetHawks downed the San Jose Giants, 4-0. Last season, Urckfitz led the Lexington Legends of the Class A South Atlantic League in appearances (42) and saves (13). In 49 innings of work, he compiled a 4-1 record with a 2.57 ERA while striking out 42 and walking 13. Urckfitz earned Legends’ Pitcher-of-the-Month honors for May going 1-0 with four saves with 0.71 ERA for the month. He finished the year hurling 57.2 innings. If that is not enough, earlier this week, the former Webster Yankee star learned of his appointment to the Peoria Javelinas of the Arizona Fall League. 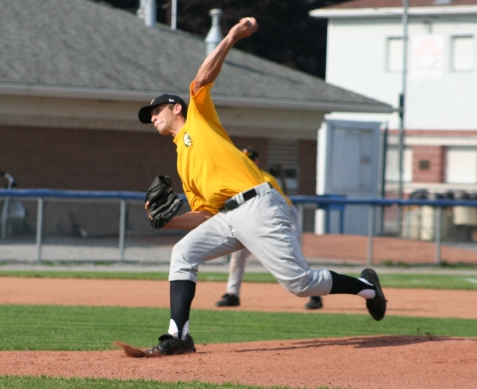 The AFL is an annual winter league run by Major League Baseball which showcases the top talent from each team. Each MLB team sends their top seven prospects to the AFL. Mike Sarbaugh, the current manager of the Triple-A Columbus Clippers will guide the Javelinas. Other notable managers include Don Mattingly and Ted Simmons. 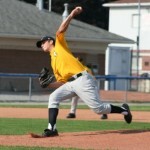 Urckfitz fanned 25 in 14.2 innings of work for the 2008 Webster Yankees of the New York Collegiate Baseball League. Opposing batters hit a paltry .207 against the lefty. 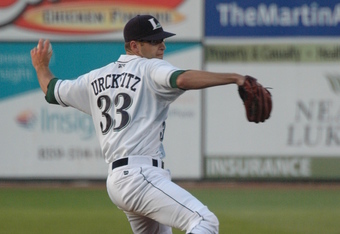 Urckfitz is one of six former Webster players in minor league baseball. Marcus Nidiffer is also in the Astros system currently playing with the Tri-City ValleyCats of the New York-Penn League. Cory Brownsten and Dan Jurik both play in the Atlanta Braves system while Gary Helmick and Jason Stifler are members of the Delmarva Shorebirds – the Class A affiliate of the Baltimore Orioles. Urckfitz signed as a free agent in July of 2008 and made 15 appearances for the Greeneville Astros of the Rookie Appalachian League fanning 23 in 19 innings of work while notching an ERA of 1.40. The southpaw finished 1-0 with three saves for the campaign. Urckfitz led MCC to a third place finish in 2008 NJCAA tournament tossing 11.3 innings of relief surrendering just one run while striking out 15.